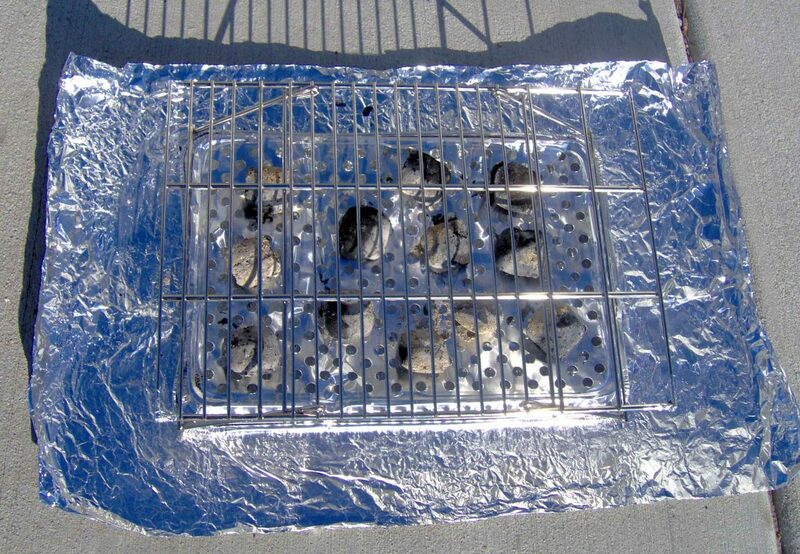 Place lit coals on top of inverted grill liner resting on aluminum foil. Then place cooking rack above coals. This simple homemade box oven is constructed using the lid to an apple box and bakes using only 10-14 charcoals. It is an effective way to bake using charcoal. Charcoal is inexpensive and stores well indefinitely. The apple box oven is for outdoor use only! 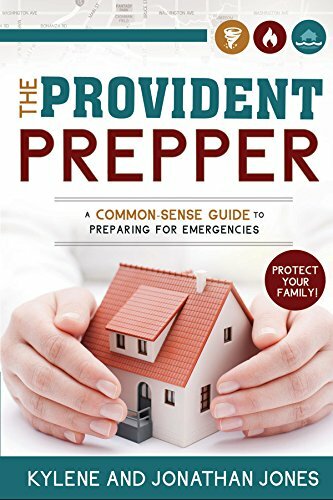 NEVER, NEVER, use charcoal indoors as it produces deadly carbon monoxide! 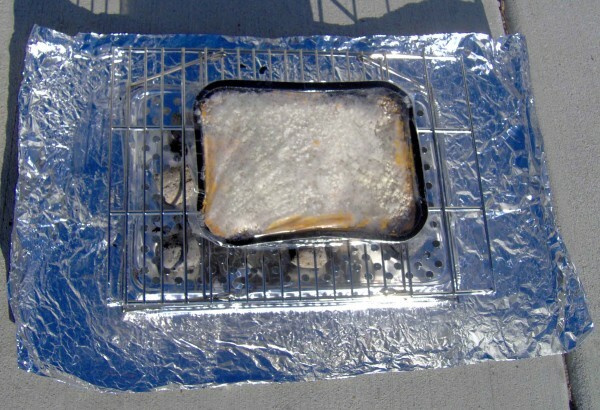 All you need to create this inexpensive charcoal oven is an apple box lid from a grocery store, heavy duty aluminum foil, aluminum foil tape, spray adhesive (optional), a cooling rack or folding camp grill. 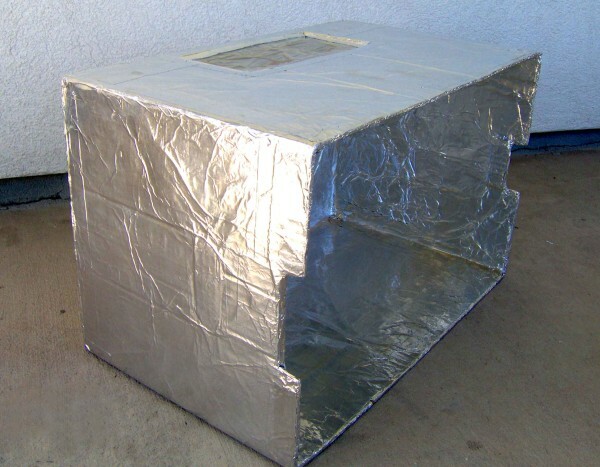 An apple box reflector oven is an amazing inexpensive tool for emergency cooking. It is easy to make and bakes food using charcoal briquettes. The window is created by using an oven safe cooking bag. However, we do not recommend it. You are not able to visualize the food clearly through the window and it decreases the efficiency of the oven. Most grocery stores will give you an apple box free for the asking. A sturdier box could be made by placing the bottom inside the top - doubling the strength. In this version, we constructed a window using an oven safe bag. Notice the notches cut on the bottom of each side to allow for adequate oxygen flow to the charcoals. We used spray glue to help stick the aluminum foil to the cardboard and then sealed with aluminum foil tape. Cover every bit of the box or it will burn. The tape is handy for quick repairs when the foil tears from use. 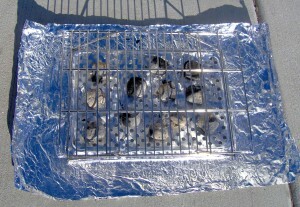 You will need a rack to place the food on so it sits a little above the hot coals. You can place a standard metal cooling rack on cans filled with dirt or rocks to make them a little more stable at each corner. We use a modified portable grill, which is unnecessary, but makes it very convenient and sturdy. Lit charcoals are placed on the aluminum foil. We increase the efficiency (and conserve fuel) by placing an inverted grill liner on top of the aluminum foil before adding coals to reduce heat conduction from the ground. Get creative and use what you have available. Place food on top of the rack as shown. Place the apple box reflector oven on top and allow to bake. Avoid peaking ... you lose a lot of heat when you lift the lid. Our frozen lasagna turned out perfect! However, we encourage you to experiment because it takes a little time to figure it out. When I took the lasagna out the coals were still hot, so I decided to bake brownies using the same coals. The brownies never got quite done because the coals died out. They would have been fine if I had slipped some new coals in there. It is all part of the learning process. 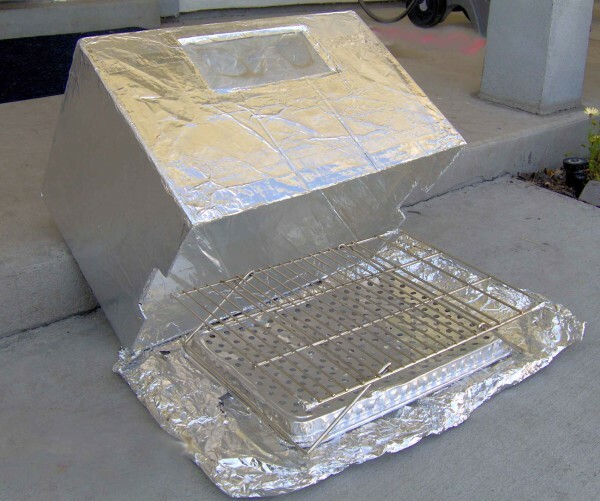 This is a photo of the apple box reflector oven while baking. Notice that it is difficult to visualize the food through the window. I probably will not put windows in again. 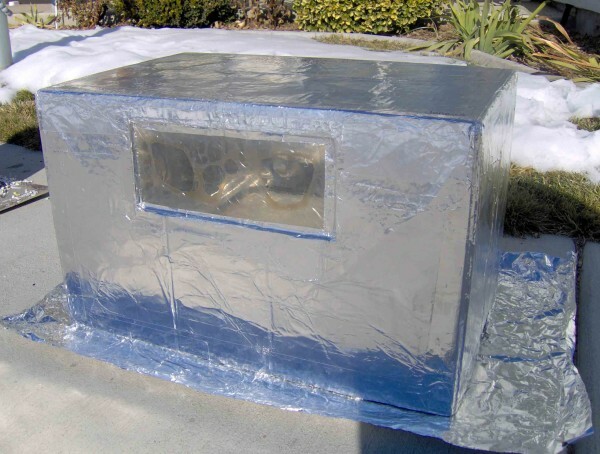 A towel or small blanket placed over the top of box will increase insulation. Do not use synthetic fabrics that burn at low temperatures. Do not cover the vents at the bottom. The coals need adequate oxygen to burn well. Never use indoors!! Charcoal produces large amounts of carbon monoxide. 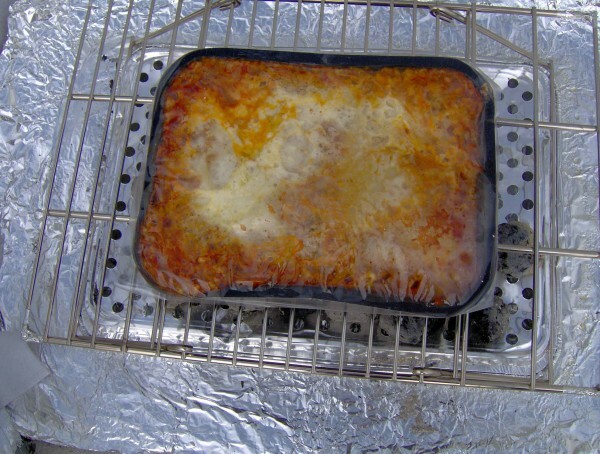 This oven is a great inexpensive tool for cooking outdoors in an emergency. It is easy to build and use. This homemade oven bakes using only 10-14 charcoal briquettes. Control the temperature by using one coal for about every 35 degrees desired. Oven will maintain temperature for 45-55 minutes. Slip fresh coals underneath as needed for longer cooking times.